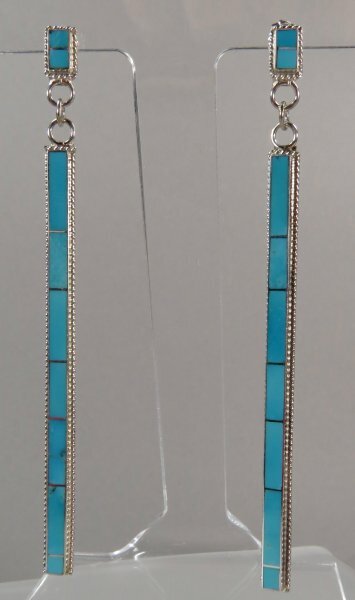 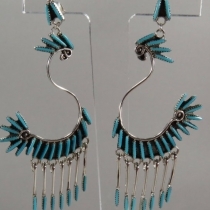 Our collection of Zuni earrings embrace the full range of sizes and prices. 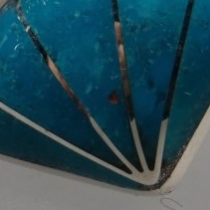 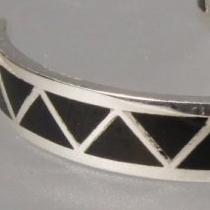 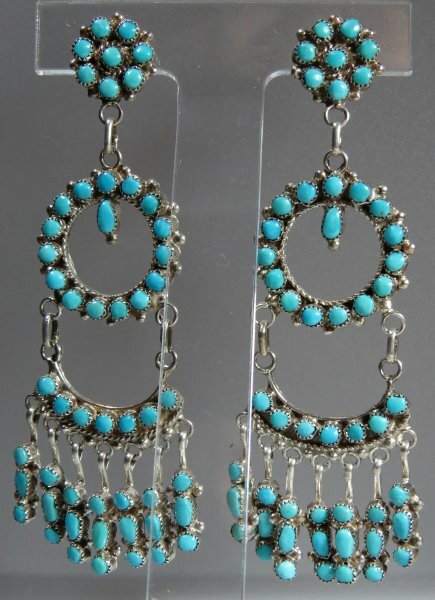 The number of Zuni jewelers who make earrings is incredibly large. 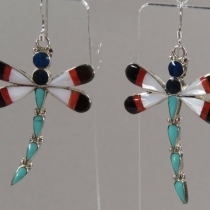 Almost all families living in the pueblo have a work station, either in their home or in an outbuilding where they carry on the tradition of making earrings. 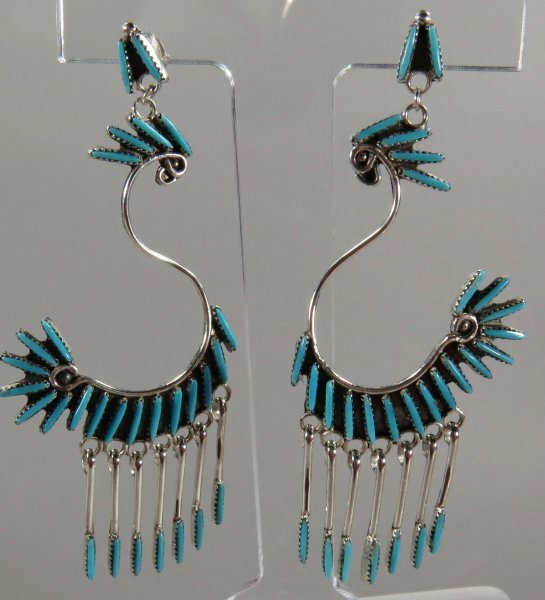 They supply all of the trading posts in Zuni, Gallup and other nearby locations, where wholesalers travel to purchase Zuni jewelry. 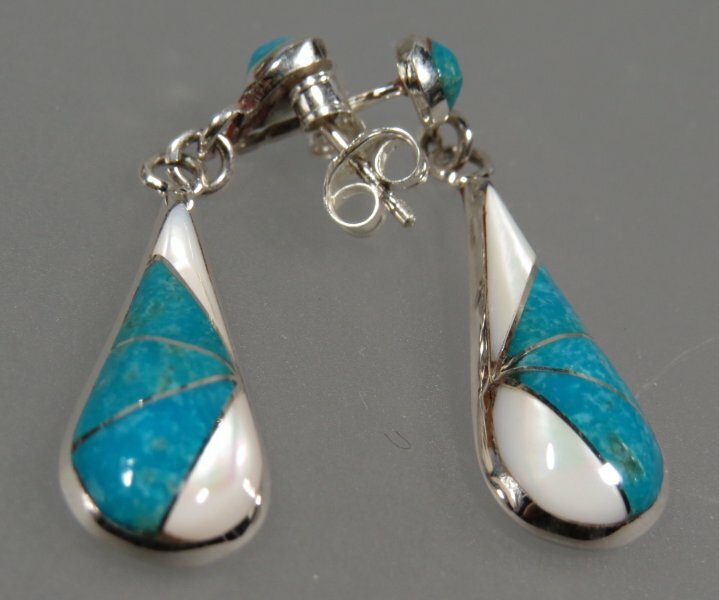 Itinerant traders who purchase directly from the jewelers at their home and distribute Zuni earrings to a much wider area of the country. 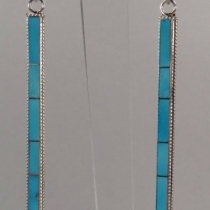 Those who make the smaller sizes, usually called ‘studs’, will make large quantities at one time – as many as 100-200 pairs. 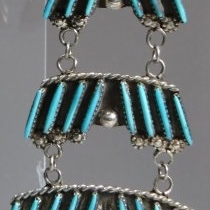 Most of the Zuni earring makers have standing orders which keeps them busy at all times. 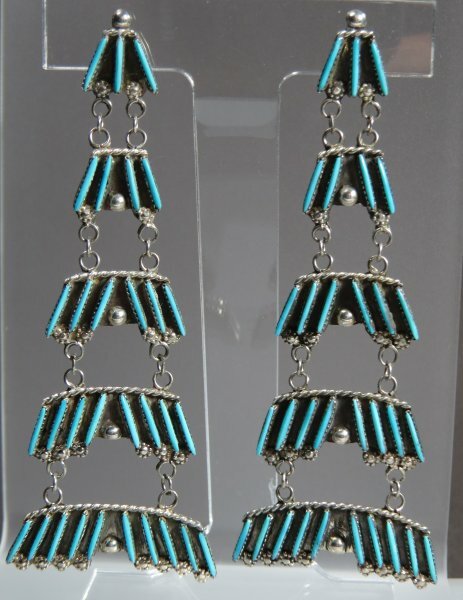 The demand for quality Zuni earrings is insatiable. 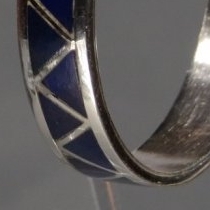 New designs evolve and older ones continue to be requested. 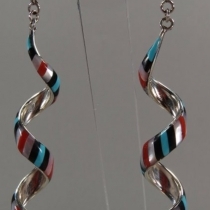 Established older earring makers continue to produce. 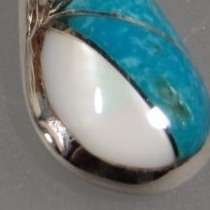 Their children and younger relatives are bringing a new generation to the market. 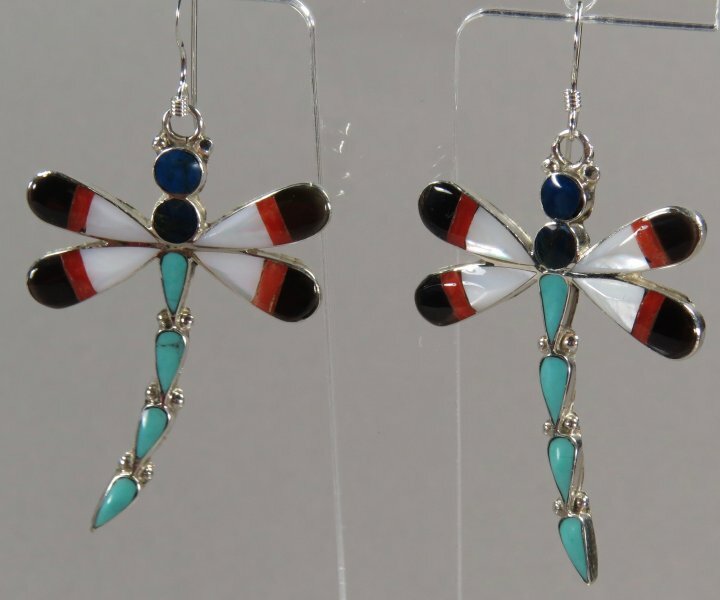 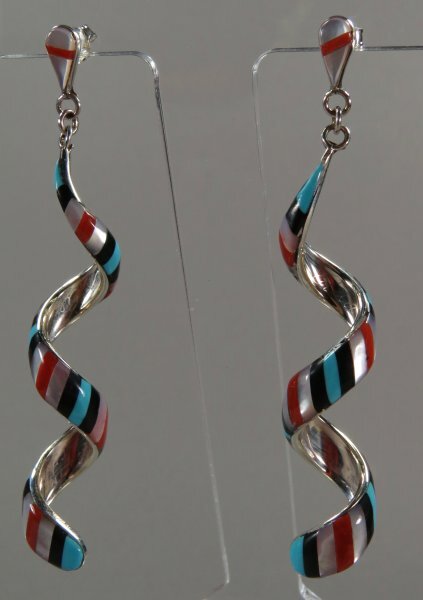 They are among the most popular designs and stylings of Native American earrings. 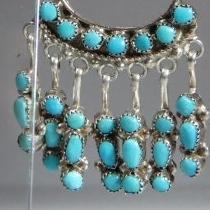 From tiny studs to ornate chandelier and other seminal designs, Zuni jewelers use turquoise, coral and numerous other shells and stones. 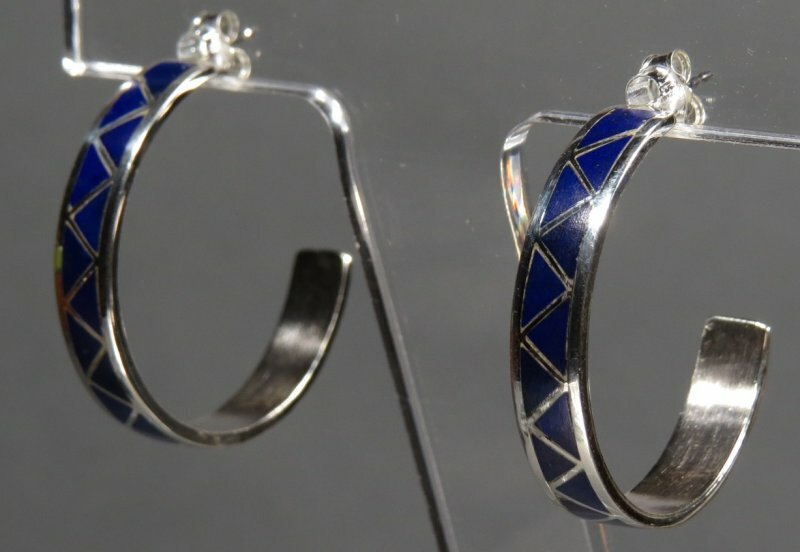 Among the host of Zuni earring jewelers we are showing these : Joanne Peina, Nelson Unkestine, Julie Lustiana, Duran Gasper, Harvey Kallestewa, Lorraine Waatsa, Harlan Coonsis, Amy Wesley, Robert and Bernice Leekya, Kal Kallestewa and Victor Martza.